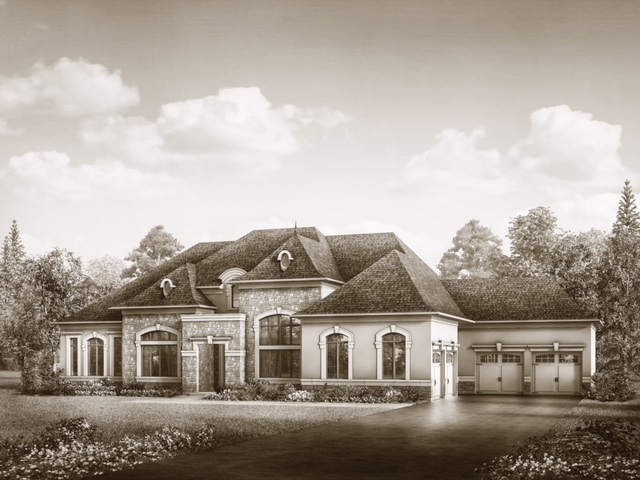 Uplands Estate “An exceptional home is simply a frame for an exceptional life” Built to transcend the test of time, this newly constructed home makes a distinguished architectural statement. 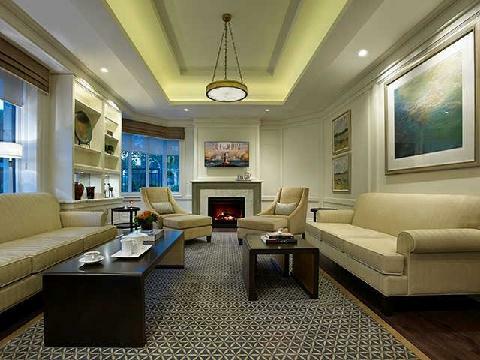 Beautifully positioned upon a hill with panoramic city, skyline and Golf Course vistas. A circular motor court leads to this majestic home. Introduces a magnificent entrance staircase with dramatic two storey ceilings. A chef’s dream haven: Professional gourmet kitchen, panoramic vistas and a personal wine boutique. Among the endless inimitable array of offerings is an oak panelled library, elevator, master suite complete with a grand entrance and lavish bath. Ideal for entertaining lower level features a myriad of world-class exceptional options including a games room, catering kitchen, home theater, sauna and gym. Among other highlights are outdoor garden plans with a pool. Every element of this iconic estate reveals an intricate level of attention and extraordinary care. This home is without question unmatched in its grandeur and scope. A superlative property desired for a modern dynasty. Indoor-Outdoor beauty blends harmoniously in this designers own residence. 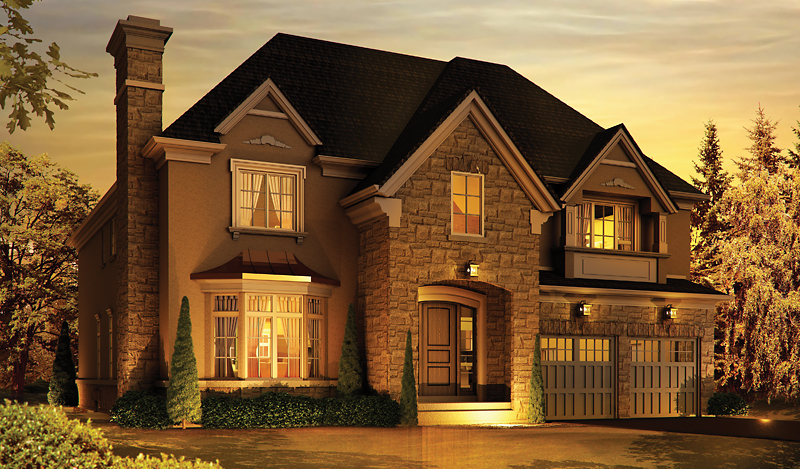 South Richvale is one of the most coveted neighbourhood in the Greater Toronto Area. The property embodies everything from – celebrity studded cocktail parties to Rat Pack cool- a lifestyle that remains true today. Impeccable architecture seen throughout a crisp and colourful style lends a museum like quality, while numerous amenities infuse the dwelling with warmth and comfort. Encompassing 12,700 sqft. Reveals throughout make this an ideal estate for art collectors. The master bedroom has a pampering bath with glistening tiles, and a rain shower. The coordination of indoor and outdoor venues makes this residence perfect for entertaining. The gourmet kitchen, with temperature controlled wine cellar, grand rear yard vistas catch the eye from expansive windows. Outdoor swimming pool affords superb recreation and cordial gatherings find their perfect spot in the covered deck with fireplace and barbeque. A fountain and fire pots surround the outdoor entertainment areas. The lush manicured landscape surrounds this superb offering. "Timeless Appeal" Architecturally Significant With Refinement. This Classic Chateau Style Home Of The Grandest Proportions Is Privately Ensconced Within A Sought-After Neighbourhood. The Gated Entry, Cut-Stone Facade And Circular Motor Court Create A Dramatic Welcome To This Esteemed Manor. 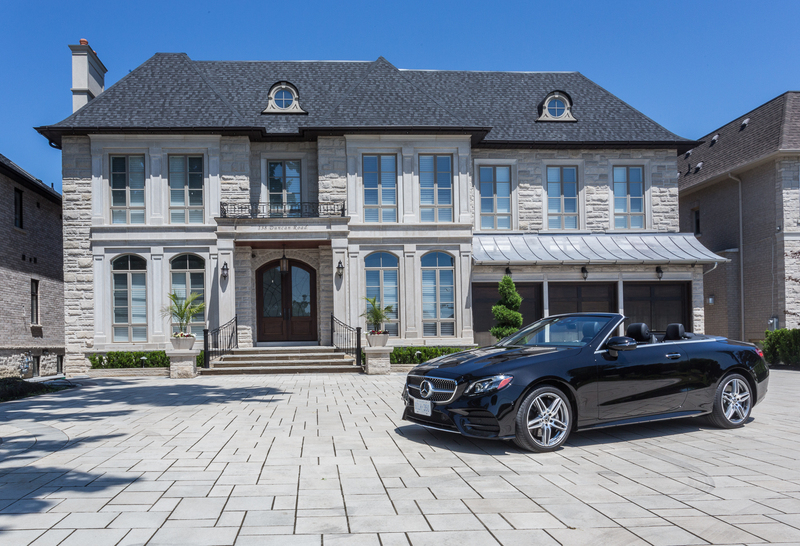 This Architectural Marvel Enjoys A Glorious Setting Nestled Amid The Finest Toronto Estates. Enjoy Alfresco Dining Poolside Overlooking The Ravine. It Provides A Superb Blend Of Prestige And Privacy, With Access To Fine Shops, Restaurants, And Schools, As Well As The Cultural Attractions That Makes Toronto Such An Attractive Place To Live. Interiors Designed By Bryon Patton. 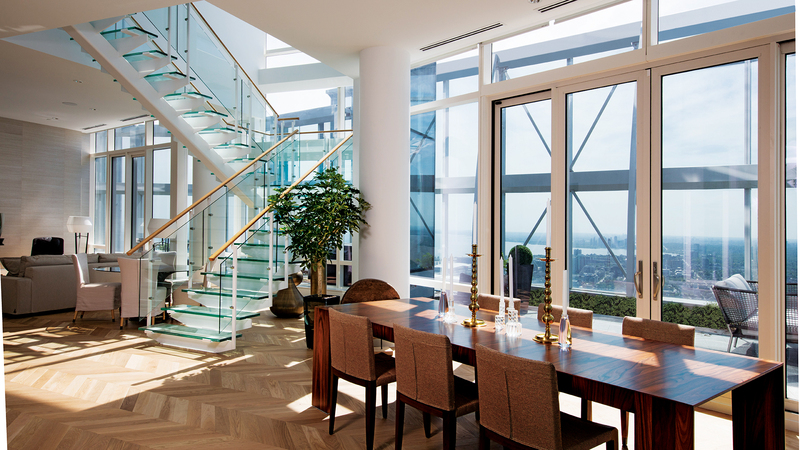 Designed by award-winning architect Richard Wengle with interiors by Brian Gluckstein. Original classic charm, spacious and elegant interiors in a most sought after neighbourhood. The elegant and tasteful landscaping enhances the outdoor living and dining areas.Steps to many private Golf and Country Clubs, in close proximity to some of the country’s best schools. FOREST HILL TREASURE Elegant design and impeccable renovation grace this lovely beltline trail home. Seclusion and harmonious indoor-outdoor living spaces. This five bedroom home situated on a mature lot boasts a pool, an expansive alfresco dining deck, a sauna, a circular motor court, and a walkout lower level. A gracious entrance opens to a stunning entry hall. An abundance of natural light radiates throughout. The family room and chef’s gourmet kitchen are located at the back of the house and overlook the pool, beltline and an outdoor entertaining area, creating a cozy atmosphere. A perfect setting for hosting larger gatherings. Walking distance to village shops, bistros, and some of the country’s best schools. Dramatic views from every room. Inspired by old world architecture. The home was designed for a sophisticated family looking for a home of casual comfort, intended for owners with a passion for elegant aesthetics. The result is the ultimate setting for a lifestyle of both considerable pampering and practicality. From the magnificent home theatre to a stunning gourmet kitchen and a soaring great room. The master suite offers unparalleled views of the lake and city skyline. 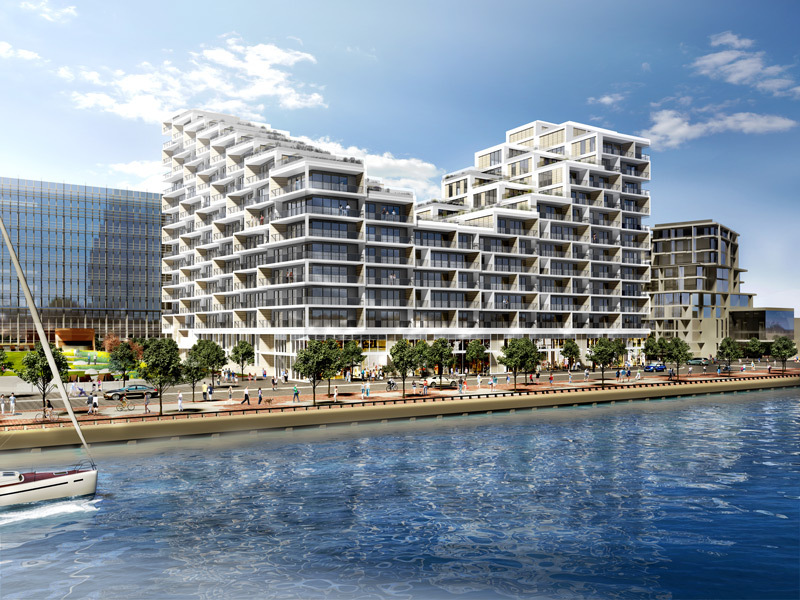 The prime Toronto’s location offers easy access to boating, sailing, and kayaking. Walk, bike, run in the parks and countless other recreational options. Modern beauty blends harmoniously in this entertainer’s retreat in the most coveted neighbourhood. Impeccable clean lines define the architectural artistry throughout the legendary home. A crisp and colourful style lends a museum-like quality, while numerous amenities infuse the dwelling with warmth and comfort. Steps to many private Golf and Country clubs, in close proximity to some of the Country’s best schools. Situated On 2.5 Acres Of Lush Privacy In Trailwood Estates. This Incredibly Designed Home Is Filled With Exquisite Features And Custom Details. A Grand 10,000 Sq Ft Of Living Space Boasting 5 Bdrms, 2 Story Great Hall, Gourmet Kitchen And Incredible Views From Every Room. Ceiling Details, Wainscoting Throughout And A Fully Finished W/O Lower Level To Award Winning Landscaped Grounds. Exterior Features Include Swimming Pool And Tennis Court. An Exceptional Custom Built Estate Set On 5 Acres Of Lavish Grounds. A Private Retreat Crafted With Consideration And Created With Class. A Luxurious 6000 Sq Ft Home Boasts 5 Bedrooms, 8 Baths, Vaulted Ceilings, Fireplaces Throughout, Ceiling Details And Custom Wrought Iron Railings Adorn The Home. A Gourmet Kitchen Walking Out To A Year-Round Terrace Over Looking The Heated Salt Water Pool And Cabana. Lower Level Is Fully Finished And Walks Out To Paradise. 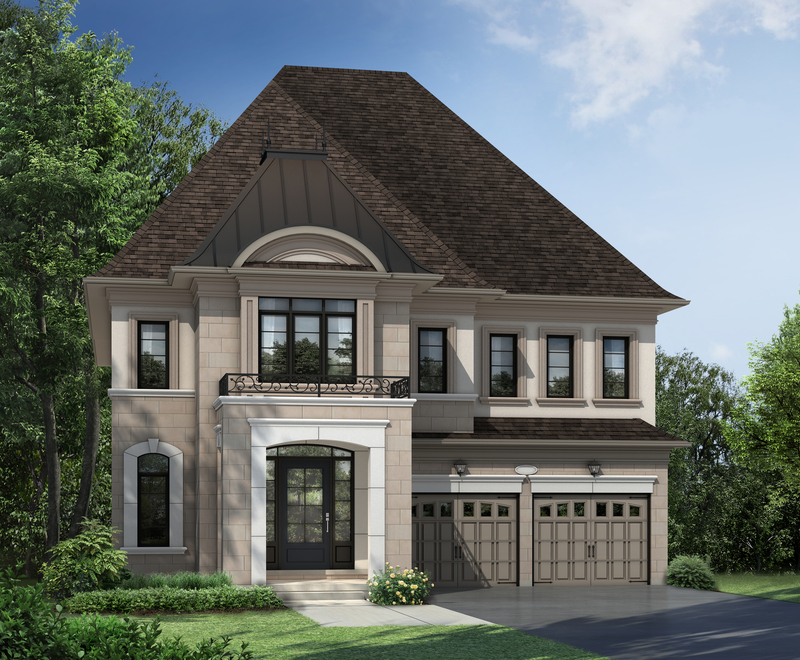 "European Elegance" Peacefully Nestled On A Premium Lot In The Heart Of Richmond Hill, This Magnificent New Estate Exudes A Casual European Elegance. 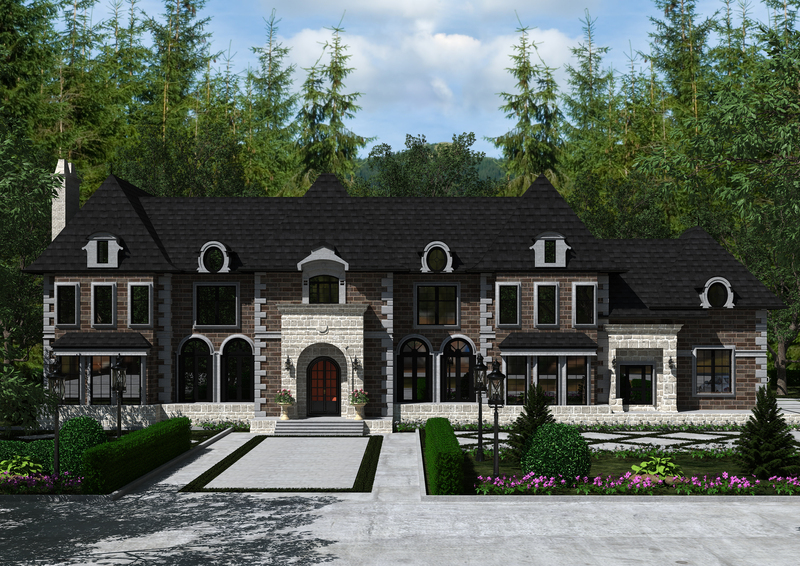 The 9555 Sq Ft Residence Is Dressed In A Pallet Of Rich Textures And Neutral Hues.Unique Ceiling Treatments, Hardwood Floors & Gorgeous Carpentry In A Variety Of Finishes Are Just A Few Of The Highlights That Make This Home Truly Remarkable. Magnificent Outdoor Living Spaces Place The Crowning Touch On This Estate. 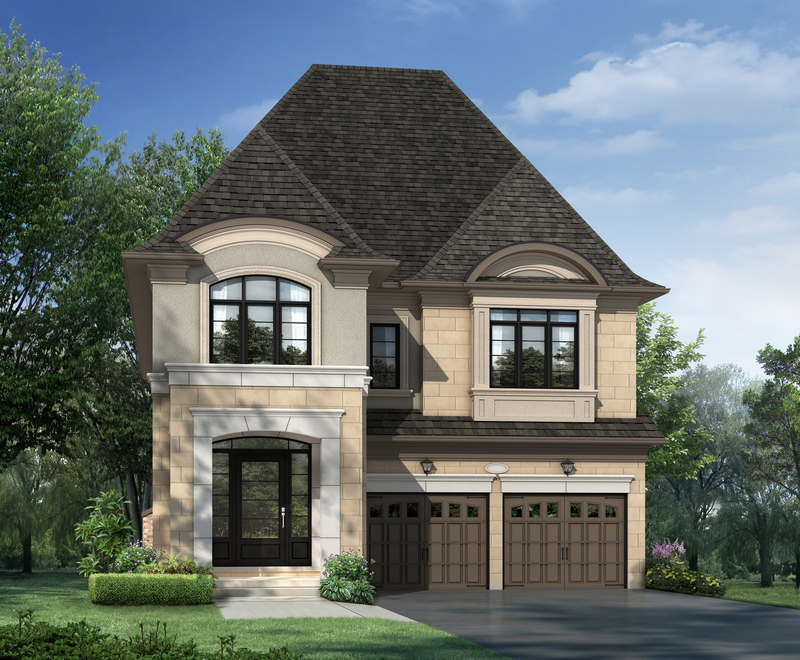 Introducing Luxury Singles backing onto Magna Golf Club in the heart of Aurora, one of the GTA’s most picturesque locations, moments from schools, shopping, Hwy 404, GO Transit and much more. 'Steele Valley' The Most Desirable Address. Truly Unique And One Of The Rarest Offerings. Surrounded By Multi-Million Dollar Estates, A Once In A Lifetime Opportunity To Either Renovate Or Build In This Most Desirable Location. Area Amenities Include The Bayview Golf And Country Club (One Of Canada's Top 100 Golf Courses). Approximately 1 Acre. Fairfield Is Ideally Located In A Secluded Enclave, Beautifully Landscaped With Mature Trees And Sprawling Leaves. Close By Is The Picturesque Town Of King City, Where You Will Find All The Amenities For Day to Day Living With Little Pastry Shops & Restaurants. Just Down The Street Is Country Day School, A Respected Private School, And Located In Aurora Is St. Andrew’s College. Enjoy A Few Of Canada’s Finest Golf Courses Located In The Area Or A Scenic Drive In The Country. The Convenience Of Major Highways Allow For Quick And Easy Access To The Airport And Downtown Toronto. “Islington Woods” Lavish in every way, this expansive residence sets the perfect stage for a lifestyle of ultimate comfort. The first floor is distinguished by a gracious hall with 10 foot ceilings. A lovely chef’s kitchen with top of the line appliances. Extensive patio provide an ideal venue for gatherings that round out the stunning amenities. Close to private and public Golf Courses. 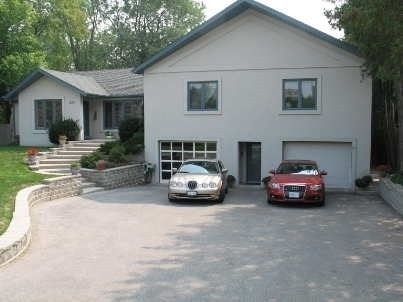 "The Estates Of King City" Offers This Luxurious Bungalow Situated On 1 Acre In King City. In A Quiet Community This Homes Boasts High end Finishes, Gourmet Kitchen, High End Appliances, Ceiling Details Throughout, Gas Fireplaces And Walk Out Terraces. 4 Car Garage, 10 Ft Ceiling Throughout. Impeccable Quality And Craftsmanship. 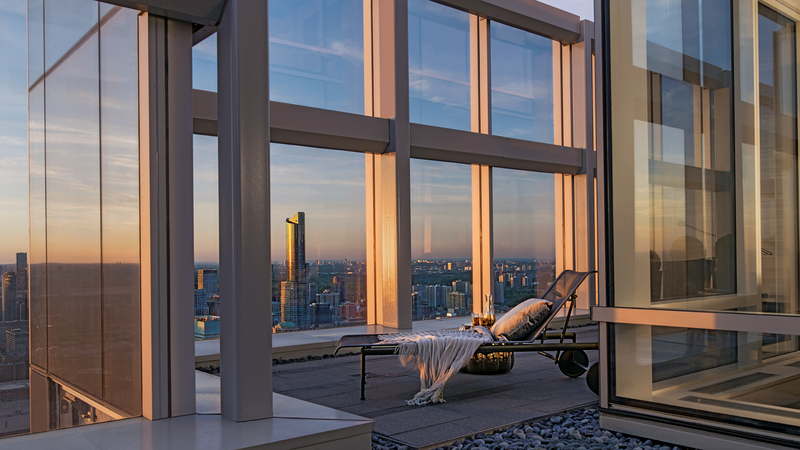 PERCHED ABOVE TORONTO’S SKYLINE, ON FLOORS 65 AND 66, FOUR EXCLUSIVELY APPOINTED PENTHOUSES DEFINE THE PINNACLE OF PERFECT LUXURY. THE CITY'S TALLEST TWO STOREY HOMES, FEATURE UNOBSTRUCTED PANORAMIC VIEWS, WITH BREATHTAKING URBAN AND INFINITE LAKE VISTAS. THE INTERIORS FEATURE GRAND AND LUXURIOUS OPEN PLANS; EACH PUNCTUATED WITH AN ELEGANTLY DESIGNED GLASS STAIRCASE, A DELUXE KITCHEN, EXQUISITE ENSUITE BATHROOMS, A WRAP AROUND TERRACE, ARTFULLY LANDSCAPED WITH AN APPOINTED OUTDOOR KITCHEN, ALL BEAUTIFULLY CONSIDERED AND ENSCONCED FOR YEAR ROUND PLEASURE. LIVING 180 UNIVERSITY IS SITUATED ON A PRESTIGIOUS UNIVERSITY AVENUE, TORONTO'S CEREMONIAL GRAND BOULEVARD. THE PROPERTY IS JUST STEPS AWAY FROM THE CITY'S FINEST ENTERTAINMENT, CULTURAL, SHOPPING, BUSINESS, EDUCATION AND DINING VENUES. 'Woodland Acres' Indoor-Outdoor Beauty Blends Harmoniously In This Private Retreat Just Over 2.3 Acres. An Impressive And Spectacular Entrance With A Double-Height Hand Painted Ceiling. A Memorable Library, Incredible Floor Plans And Expansive Windows Throughout. The Kitchen And Breakfast Room Open Onto The Pool And Walk Out To Spectacular Grounds. The Second Floor Leads To A Generous Master Suite And A Grand Dressing Room. The Grounds Are Magical With Views In All Directions And Their Are Terraces Overlooking The Enchanting Spring Pond And An Outdoor Swimming Pool For Alfresco Dining. “Villa Tranquil” A Classic Mediterranean Elegant Estate Offers The Best of Everything, including Views. This Estate Exclusively Positioned On Steele Valley. A Secluded Enclave Offers The Upmost In Privacy With An Acre Of Panoramic Tree Top Views On The Ravine And Views Of The Don River. The Homes Formal Rooms Are Introduced By A Grand Entrance Hall Soaring Two-And-One-Half Stories. Heightening The Fine Appointments Are A Family Room, Library, Living Room, Dining Room, And A Walk-out To The Garden Lower Level. The Villa Tranquil Estate Was Designed For The Art Connoisseur And Nature Admirer Creating A Home With First Class Amenities. In Close Proximity To The Bayview Golf And Country Club (One Of Canada's Top 100 Golf Courses). World Renowned Architect Pier Paulo Alberghini Educated in Florence Italy. Interior design by Powell & Bonnell Design. 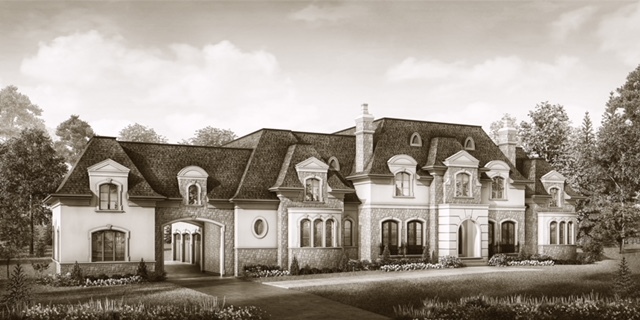 'Oakbank Pond' A Gracious Estate Invites Grand Entertaining And Serene Living. The Interior Offers Expansive Rooms Of Exquisite Taste And An Ambiance Of Unequal Charm. Magnificent Outdoor Living Area With Panoramic Golf Course Vistas, Situated In The Prestigious Oakbank Pond And Thornhill Country Club Neighborhood. A Mediterranean Inspiration. This Property Has Been Designed And Built With A Commitment To Excellence. Architectural Masterpiece, 2 Years In The Making. A Unique Trophy Property Designed By Lapointe Architects, Nestled Behind A Forest Of Approximately 6 Private Acres, Floor To Ceiling Glass, This Magnum Opus Suspends The Boundaries Of Ordinary Living And Commands Amazing Views Of The Forest, Open Sky And Natural Landscape Nesting High Above Aurora, Close To The Exclusive Magna Golf Club. This 11,500 Sq Ft Piece De Resistance Showcases 5 Bedrooms And 7 Baths, A 2 Level Indoor Pool With Commanding Views. Close Proximity To World Class Amenities, And St. Andrews College. Impeccable Design, Unparalleled Quality And Paramount Location Make This Property A True Piece Of Art. 'The Estates Of King City' Offers This Beautiful 5019 Sq Ft, 4 Car Garage Home With 10Ft Ceilings Boasting Quality Finishes, An Incredible Layout Including A Walk Up Lower Level. The Bordeaux Model Is Built On A Premium 80" Lot, Situated On A Very Quiet Street Near Parks, Conservation, Trails And Top Ranking Private And Public Schools. 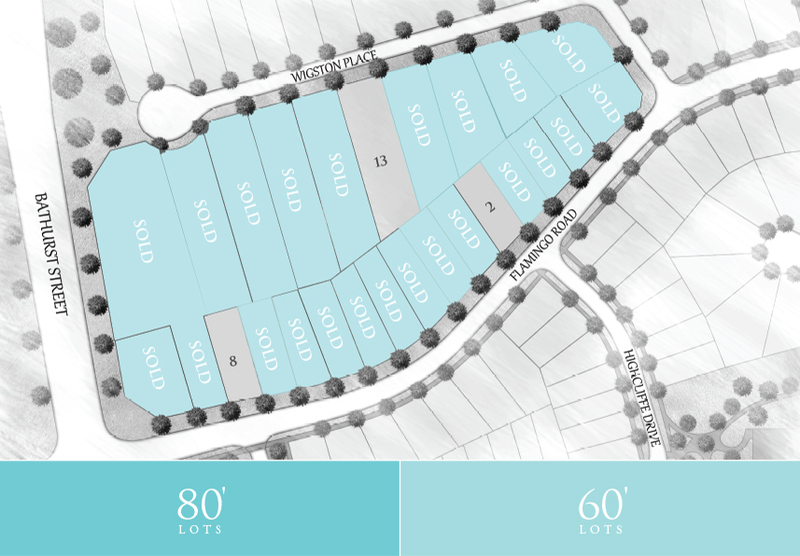 This New Development Is Built By The Renowned Treasure Hill Homes...An Assignment Opportunity! *** A Scarce Opportunity *** 5 Bedroom, Zoning Rs1/R6 Permit 100 % Office Use And Residential. "82.5 By 315 Generous Lot Size On Approx 0.68 Acres Land With An Extra Deep Lot & Spectacular View, Sundeck With Skylight, In-Ground Pool & Pool House. Flawless Luxury' Living In A Desirable Neighborhood. This Estate Is Perfectly Set On A Quiet Cul De Sac On A Premium Size Lot Of 75X205. Located Minutes From Renowned Golf Courses, Near Reputable Public, Private And Catholic Schools. This Exceptional Residence Features Upgraded Kitchen, Open Concept Family Room, 10Ft Ceilings On Main Floor, 4 Bdrm, 3 Car Garage, Newly Renovated Lower Level Boasting An Exercise/Music And Hockey Training Room. Situated Near Parks And Bike Paths, A True Family Community, This Property Is Beautifully Landscaped With Outdoor Entertaining And Hot Tub!! 5000 Sq Ft Of Living Space. An Example Of Exceptional Craftsmanship And Pride Of Ownership. A Contemporary Estate Amidst Bayview Golf & Country Club (Rated One Of Canada's Top 100 Golf Courses) With Magnificent Panoramic Views Of The Golf Course. Builders Own Residence With All Modern Amenities. Designer Kitchen For The Gourmet Connaisseur. One Of Toronto's Most Exclusive Neighbourhoods. The Penthouse takes centre stage at Blythwood at Huntington with commanding views southward from one of Lawrence Park's most coveted locations. The balcony and all three of the bedrooms gaze out upon this exquisite, natural setting overlooking Sherwood Park ravine. Grand and gracious living and dining areas extend out onto a massive terrace that runs the entire length of this incomparable residence. Formal and informal living rooms, along with a spacious kitchen, library and exceptional finishing touches are just some of the premier features designed for an uncompromising lifestyle. Engrossed in the natural beauty and charm of Thornhill you can discover a truly unique and lavish enclave housing 4 stunning bedrooms situated amongst 4,002 sq. ft. of architectural ingenuity. Located minutes away South of Bathurst and Hwy. 407 you will find the mesmerizing Van Gogh located on lot 4. Grand in presence, steeped in tradition and surrounded by an exquisite natural setting overlooking Sherwood Park Ravine. Huntington by Tridel promises to be an exceptional collection of residence in the Lawrence Park Neighbourhood. 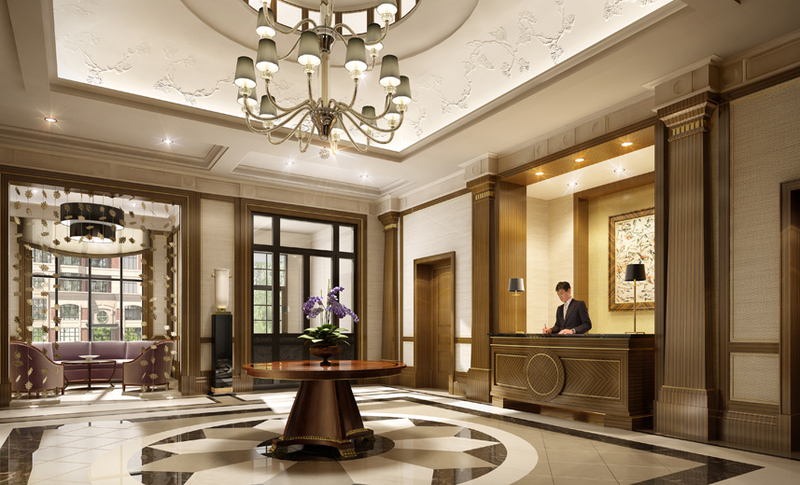 The residences are inspired by a classical style of French Renaissance and Beaux Arts. Each suite at Huntington has been given deliberate and individual consideration, seamlessly merging luxury with environmentally conscious living. 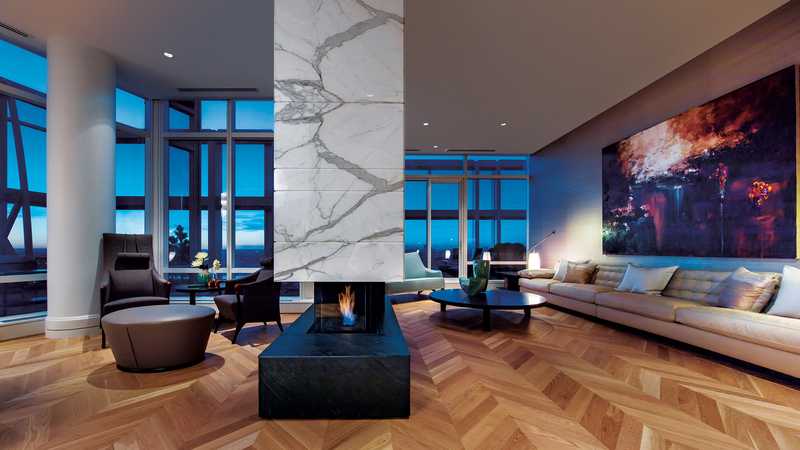 The private estates and residences at Living Shangri-La Toronto. 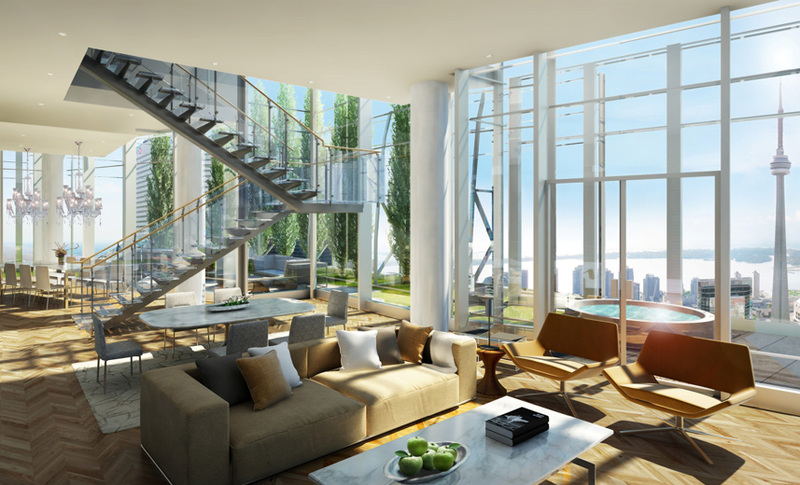 Five Star living above the incomparable Shangri-La Hotel Toronto atop a city so fine the world wants to call it home. Boasting a sumptuous array of in-house privileges and opulent extras, every discerning standard is met with intelligence, beauty, wisdom and grace. Set to redefine Toronto's skyline in 2012. 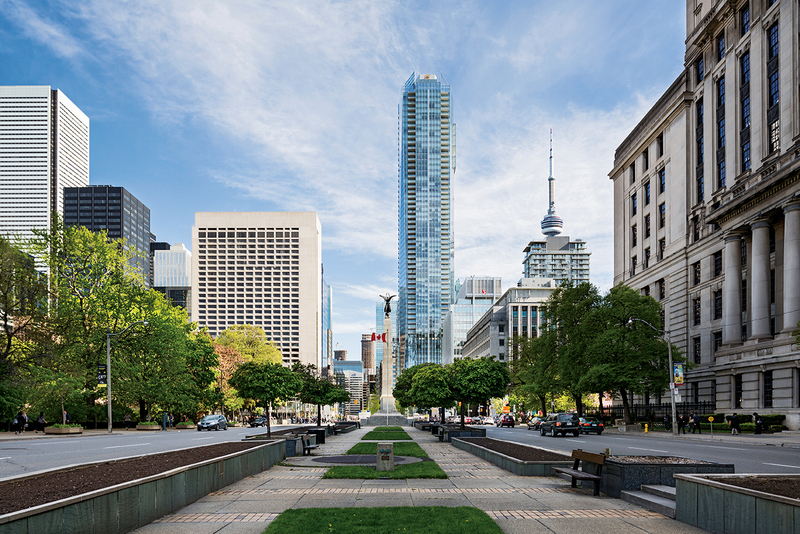 Living Shangri-La is elegantly situated on prestigious University Avenue, Toronto's ceremonial grand boulevard. Surrounded by Adelaide and Simcoe streets, the property is just steps away from the city's finest entertainment, cultural, shopping, business, education and dining venues. Grand in presence, steeped in tradition and surrounded by an exquisite, natural setting overlooking Sherwood Park ravine. Huntington by Tridel promises to be an exceptional collection of residence in the Lawrence Park neighbourhood. The residences are inspired by a classical style of French Renaissance and Beaux Arts. Each suite at Huntington has been given deliberate and individual consideration, seamlessly merging luxury with environmentally conscious living. 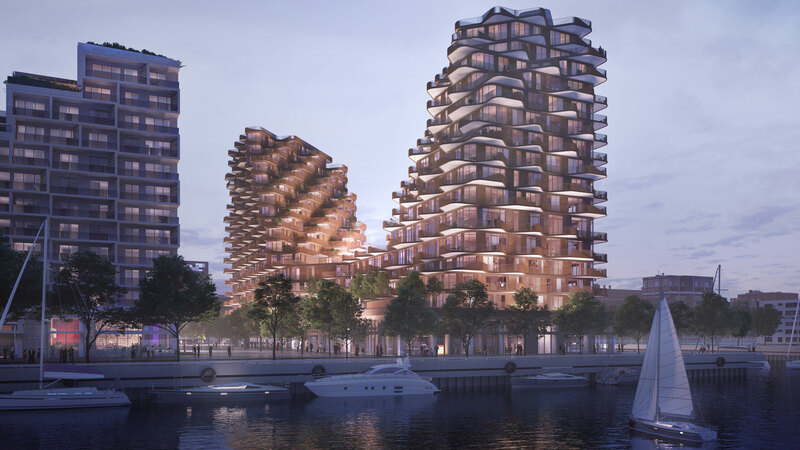 Inspired by the world's most luxurious hotels, a home at Huntington will exceed the most discerning tastes and expectations.